Description: It was 1933 when an enterprising migrant developed an idea to peddle his mobile cart along the street of Chinatown to sell his unique and tasty homemade barbecued meat. Business was especially brisk during festive seasons for this high quality delicacy. Mr Teo Swee Ee introduced this traditional cuisine as ‘Bakkwa’. This marked the birth of Bee Cheng Hiang legacy. With over 80 years of commitment under Bee Cheng Hiang belt, their value remains unchanged. 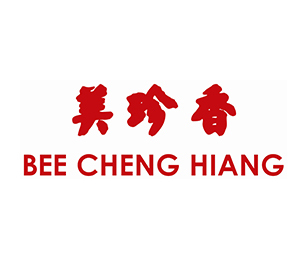 Bee Cheng Hiang believe in delivering the finest to their customers and their loved ones and for them to experience enjoyable moments in life through the sharing of Bee Cheng Hiang products. •	Modern, convenient and pleasant retail ambience; aggressive advertising and promotions programme.